Last week, I had the honor of guest lecturing at the Center for Entrepreneurship for the College of Business within one of our regional universities. The course/content was dedicated to Management and Operational Consulting, and I was asked to address the students about my experiences as a strategic advisor. A number of the individuals in the class had already engaged in various consulting assignments via their own start-ups, and throughout our discussion, raised questions specific to the ever-present topic of delegation. Not surprisingly, many had previously run into issues with former clients who struggled to hand-off critical responsibilities to their subordinates. I reassured these emerging advisors that they were not alone in their reflections, and offered data regarding the tendency for leaders (especially founders and entrepreneurs) to struggle with designation of core responsibilities. It is in fact one of the primary reasons why consultants like me/us are engaged for our advisory services. Through my observations, I have concluded that the majority of founders executive leaders thrive (at least initially) if they can develop resources to support or offset their gaps and weaknesses; however, as organizations grow and seek sustainability, those same entrepreneurs and c-suite members find that their long-term struggles stem more from delegating their core competencies and strengths. The ability to recognize and adapt to this shifting dichotomy of weakness/strength delegation is one of the defining characteristics between growing and sustainable organizations. Achieving both requires individual leadership skill set and the organizational environment conducive to it. The framework for these elements of success must be created by the senior management seeking support, and ultimately defines the celebrated, exclusive group of leaders both willing and able to “let go“. Micro-management undermines an organization for two reasons. First, when senior leadership is bogged down or spread too thin with tasks that can be addressed by others, it inherently takes away their ability to focus on more important initiatives that only they can/should address. Second, it conveys a negative, disheartening message to the next generation of leaders that management and the organization don’t have faith in them, or aren’t willing to invest in their future. Both challenges can lead to the death of a business. Toolkits and checklists like these are valuable…but unfortunately, all-too-often don’t address the full complexities associated with delegation. In theory, the steps required to hand-off responsibilities and tasks can be learned and applied by just about anyone truly committed to trying. At the end of the day, however, success in delegation ends up being as much about the culture the process is attempted in as it is about the process itself. A culture based on trust. Alignment of all stakeholders (so that every member of the team understands the mission, vision, values and their role within it, specific to their level of influence and involvement). Hiring and training the best (even if that means surrounding the executive team with candidates that may be stronger). A culture centered upon empowerment, advancement, training and education. 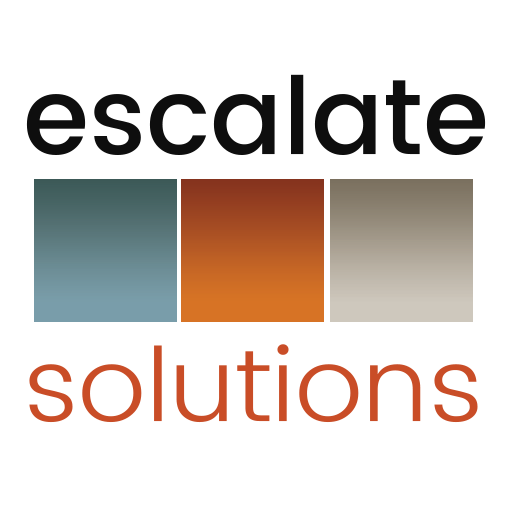 At the end of the day, I am a big believer in checklists and conversations that can get the conversation going – in fact, you will find dozens of them here on the Escalate Solutions website. What is more important to takeaway from this discussion, however, is that when it comes to leadership delegation, process and environment require equal investment. Simply developing a list of tasks that require support and assigning them to emerging leaders without the accompanying measures of accountability, responsibility and authority is a recipe for organizational disaster. Such failed attempts at hand-off simply increase the workload of subordinates without providing empowerment, and therefore extends the frustration and need for support from the c-suite to the rest of the organization. Similarly, it is too easy of a trap for an executive to reconsider their assignment of responsibilities to a subordinate. I would argue that ultimately, if a leader doesn’t have the right people to hand-off to, that is just as much an issue with trust, alignment, hiring or training – all solutions that ultimately point back to the management team in charge. Bottom line: As you engage in your next delegation exercise, make sure you are using the right checklist. If you consider the cultural environment as well as the process, your team is one step closer to success. This entry was posted in Alignment, C-Suite, CEO, CMO, COO, CSO, CTO, Culture, Entrepreneurship, Growth Strategy, Kimberly Arnold, Mission, Small Business, Uncategorized, Values, Vision and tagged business, C-suite, CEO, CFO, CHRO, CIO, CMO, COO, CSO, CTO, culture, diversification, growth, Leadership, operations. Bookmark the permalink.